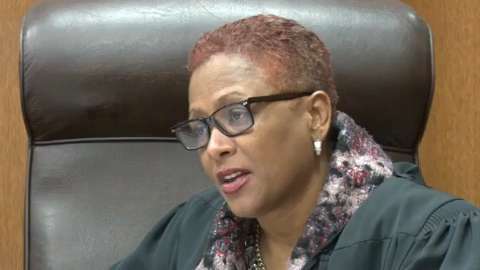 Wayne County Circuit Court Judge Vonda Evans, one of the more recognizable and outspoken judges on the Wayne County Circuit bench, is under fire for her attendance and for showing up late to work. Undercover surveillance and court records show a pattern, with Evans arriving at work late, leaving early and—on some days—not showing up while still earning nearly $140,000 a year, reports WXYZ's Ross Jones. WDIV's Mara MacDonald, who also broadcast a story about Evans' on Monday night, reports that three years of records place her in the low-middle to bottom of the pile in the weekly court docket management numbers. "There is no question in my mind Judge Evans knows how to manage criminal cases," Judge Colombo tells MacDonald. "The issue with Judge Evans, as it was and apparently is now, is whether Judge Evans is working a full day." Is she the only judge doing this? Extremely doubtful. 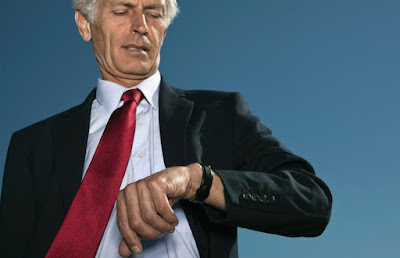 In my limited experience with judges they feel their time is every so much more valuable than yours.They'll be late or cancel appointments any time they damn well feel like it. But don't you try that. Is Evans the worst? I don't know. But I know that if you fly straight and do the work you're supposed to be doing you don't have to worry about nosy people checking your work hours. Evans may well be correct when she says that her workplace culture is such that her approach isn't unusual. But if you get busted for doing something wrong it's not really a defense to talk about all the other people who are also doing wrong. To be fair, like Evans, I would also get a little annoyed if someone who wasn't my boss questioned why I wasn't at work on a particular day without also knowing that I took that day as a scheduled vacation day or sick day or personal day or was in offsite training or was taking a family member to the hospital or was attending a funeral or had a medical emergency or needed to get work done on my car or home or had any number of other valid reasons for missing work that are nobody's business but mine and (maybe) my boss's. I also know however from observation and personal experience that negative impressions can be very hard to overcome once you're defined by them. If you're routinely coming in late and leaving early then your boss and co-workers won't view the days you take off as legitimate sick or vacation days. They'll just think that's more time you're not working. Initially I thought this piece was a bit of an unfair drive-by hit job on Evans. But the fact that she's allegedly reporting herself as working when she hasn't worked isn't right. That is a fair criticism to make of the judge. Because when you do that you really are stealing money. And you know this. I think that Evans needs to ensure that on the days she's at work she's there for a full day. Because fair or not, people are always watching.